There's been a lot of debate about the Wii MotionPlus adapter since its announcement by Nintendo. The new MotionPlus adapter is a small attachment that plugs into the back of the Wii remote controller, and is designed to improve the Wii remote's accuracy and control. With the MotionPlus adapter plugged in, your exact movements with the Wii remote should happen in real time during games. MotionPlus also picks up how hard or soft you're swinging your remote too and can sense this in the actual game. The first games to use the adapter have been mainly sports games, and it works amazingly well in games like Tiger Woods Wii PGA Tour Golf 10 and Wii Sports Resort. This new attachment really isn't just a gimmick. When the Nintendo Wii was launched in 2006, the video games industry and the general public were amazed at the Wii's motion sensor controls. The Wii was an instant hit because of the way in which the Wii mote immersed players in its games. Games like Wii Sports, Red Steel and Mario Kart Wii were an amazing new experience for gamers. Despite the critical acclaim for the Wii remote controller, there were concerns that actions taking place on the screen didn't quite mirror the movements that players were making with the remote controller. Nintendo took these concerns seriously and set out to create an even better experience for Wii gamers. The result is the Wii MotionPlus adapter, a fairly cheap attachment that simply plugs into the Nunchuck port at the back of the existing Wii remote. Despite how well this new adapter works, there have still been critics of the release of the MotionPlus. Some people feel that Nintendo knew that the original Wii remote controller wasn't 100% accurate, and have now released the Wii Motion Plus to fleece its customers. I have to say that I personally don't buy this argument though. Technology advances pretty quickly, and the Nintendo Wii was a great product at launch. It was a product that provided gamers of all ages and experience hours and hours of fun. Most products launch with some flaw or other, with fixes in future product releases. Just look at the PS3 and the new PS3 Slim. 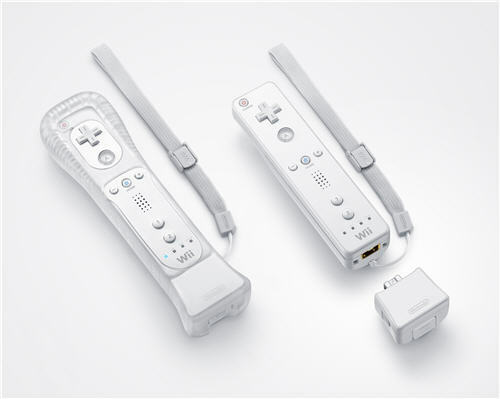 You have to applaud Nintendo for significantly improving the Wii experience for the price of a $20 (£15) attachment. Both Sony and Microsoft have forced their customers to buy entirely new consoles in order to benefit from the new experience on offer, but Nintendo have offered their customers an experience upgrade by paying just a little bit extra. Nintendo's cheap upgrade approach doesn't only apply to the MotionPlus adapter, but also to the increased SD card storage capacity via a free software upgrade that's can be downloaded from the Wii Shop Channel. Here's applauding Nintendo for giving their customers a console upgrade for just $20 (£15). The Wii MotionPlus adapter is already available in stores like Amazon.com , Best Buy , Play.com and Game , and you can buy it now by clicking on any of these links. For gamers in the UK, Play.com and Game both have free delivery and brilliant customer service. The Wii MotionPlus adapter and other great accessories are all in the Wii Accessories section.